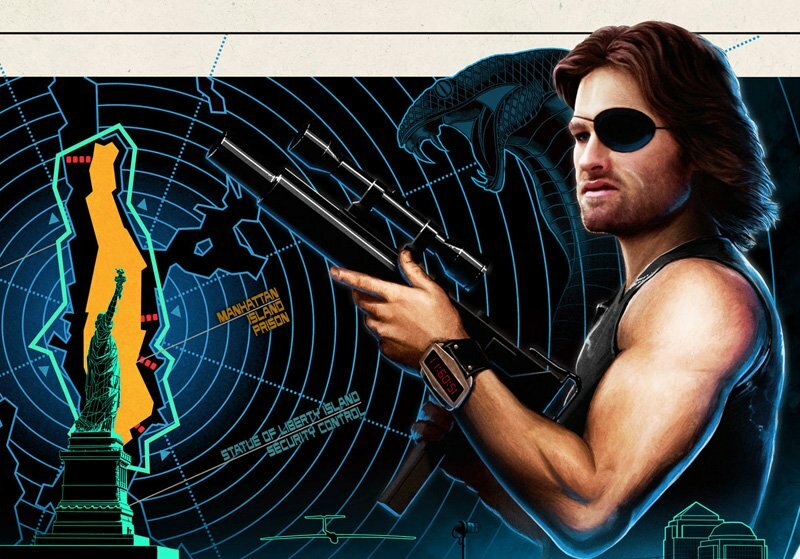 Last year Matt Ferguson and Vice Press worked with StudioCanal on four stunning posters for the 4K restorations of John Carpenter’s The Fog, Escape From New York, Prince of Darkness and They Live. Now you can put these beauties on your own wall as Vice Press and Grey Matter Art give collectors the opportunity to purchase these posters in their classic cinema quad sizes, a huge 40 x 30 inches. Check out all four John Carpenter posters in the gallery below, along with our previous Vice Press exclusives! All four 4K restorations were done using the original camera negatives, with the colour grading approved for the new restorations and UHD versions by the films’ cinematographers Gary B Kibbe and Dean Cundey. As part of the release, each film was screened in cinemas across the U.K and featured brand new theatrical posters designed and illustrated by British artist and John Carpenter fan Matt Ferguson. Each poster will retail for £50/ $60 or all four can be purchased as a set for £150/ $180. Each print will be signed and numbered by the artist and the total size of the edition will be based on the number of posters ordered during this period. As a special bonus, customers ordering the full set will also receive a bonus, never before released mini print. The Fog, Escape From New York, Prince of Darkness and They Live will be released via Vice Press (www.Vice-Press.com) and Grey Matter Art (www.GreyMatterArt.com) at 5pm U.K time/ 12pm EST/ 9am PST on the 10th of January and available until the same time on the 17th of January. Edition size will be dictated by number of prints purchased during this period. The post Four Stunning John Carpenter Posters Released by Vice Press appeared first on ComingSoon.net.